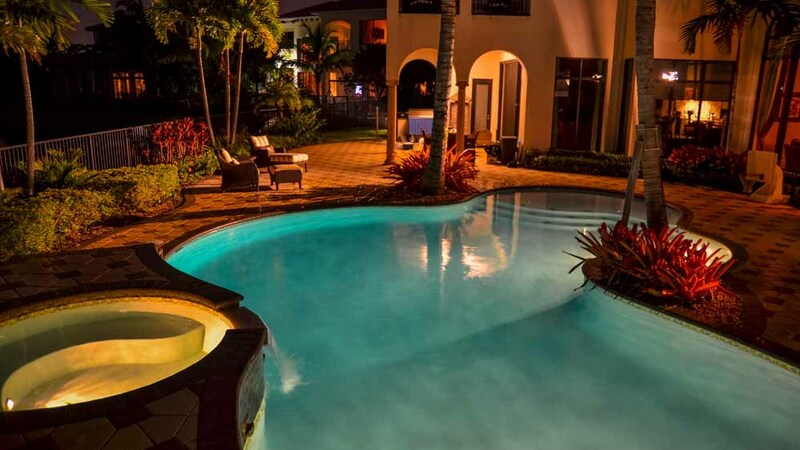 There are literally hundreds of ways you can take advantage of all the benefits provided by outdoor kitchens, as part of your poolside lifestyle. 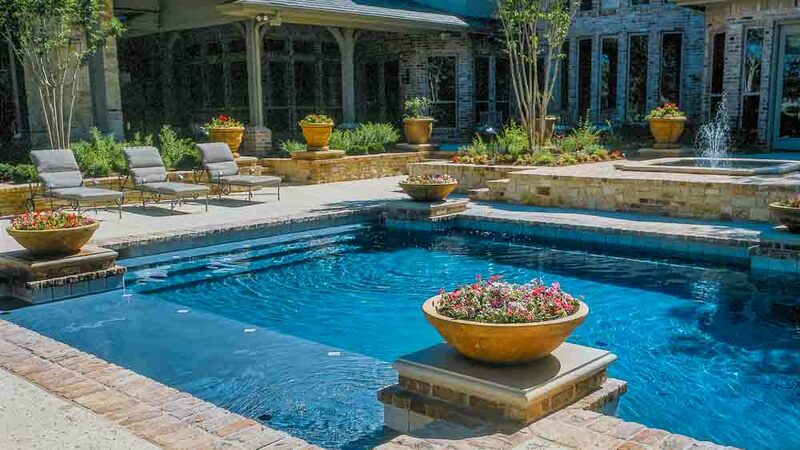 With lunch and/or dinner being prepared right in your outdoor kitchen, you can stay poolside literally all day, to enjoy the comfort and luxury of poolside living. 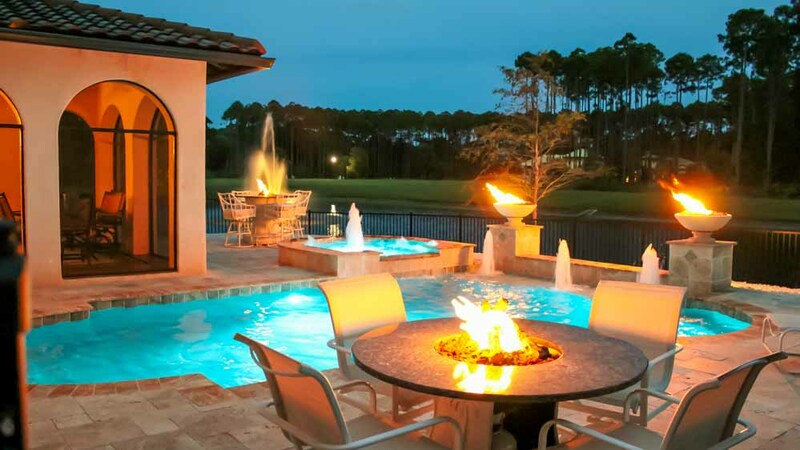 Especially during the months of summer and warm weather, meal preparation in your outdoor kitchen can be a great way to avoid being cooped up inside, and to spend more time in and around your Poolside Designs swimming pool. An option that will appeal to the budget-minded are pre-fabricated modular outdoor kitchens, which come in a variety of styles and are sure to include at least one that suits your fancy. These can also get pretty fancy, including such accessories as compact refrigerators, stainless steel cabinetry, and countertops customized to your liking. 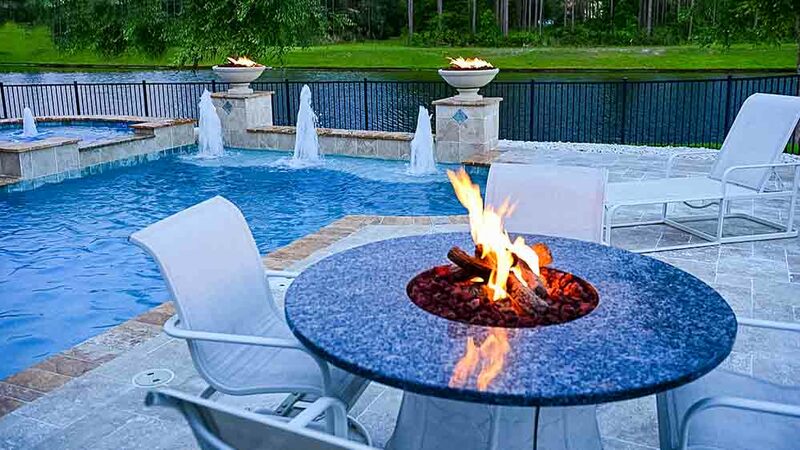 The advantages of this approach are that the cost is considerably less than what a typical installed outdoor kitchen might cost, and it can be quickly implemented, so that you can begin enjoying your kitchen right away.A key consideration when installing an outdoor kitchen is where to install it. Many homeowners choose to place it close to the home, so that it can take advantage of some degree of shelter offered by the house itself, being protected from sun and rain by the walls. It’s also pretty easy to add an overhang or a pergola which can extend out from the main house to provide excellent protection for the outdoor kitchen. The only caution here is that the cooking area should be furthest away from the house, so as not to project smoke into the house, and to maintain a buffer in case any kind of flame should develop. 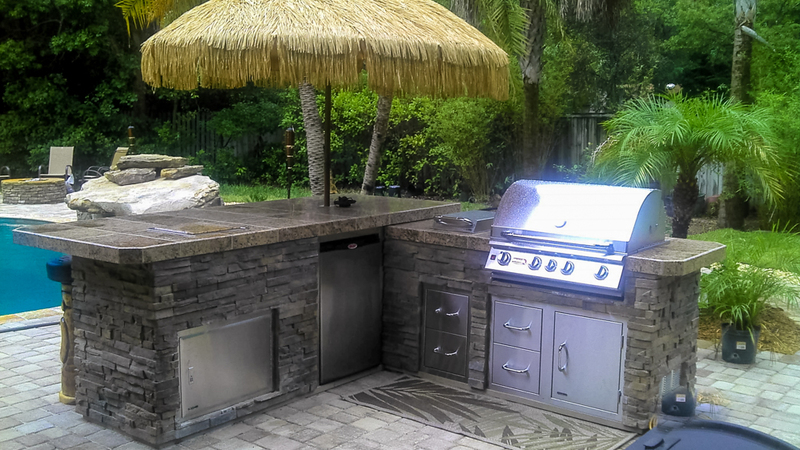 The really fun part of outdoor kitchen installation is considering the layout – this is when you get to let your imagination loose a bit, and dream up something really exotic, really functional, or both. One principle recommended by many contractors is to maintain a ‘kitchen triangle’, wherein the refrigerator, stove, and sink form the three triangle points, and are separated by no more than 10 feet between each appliance. This is good ergonomic and functional design, especially when there are no obstructions between these three triangle points. 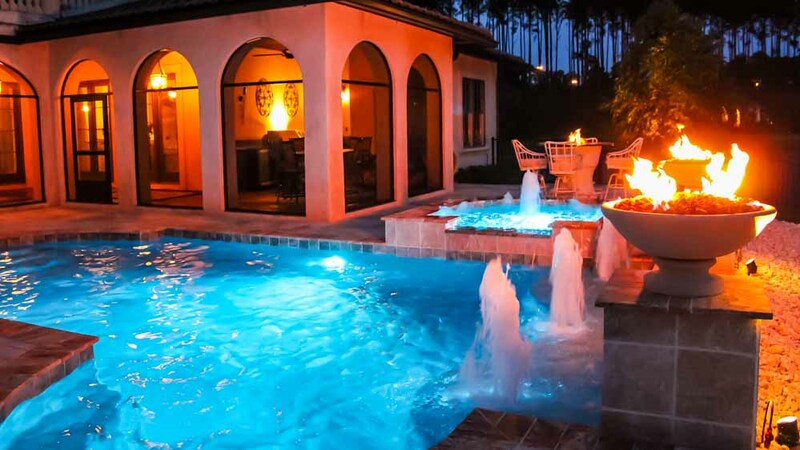 Unless you have a real home handyman in the house, you’ll need to consult with a contractor about the utilities necessary for your outdoor kitchen, including water, power, and gas. 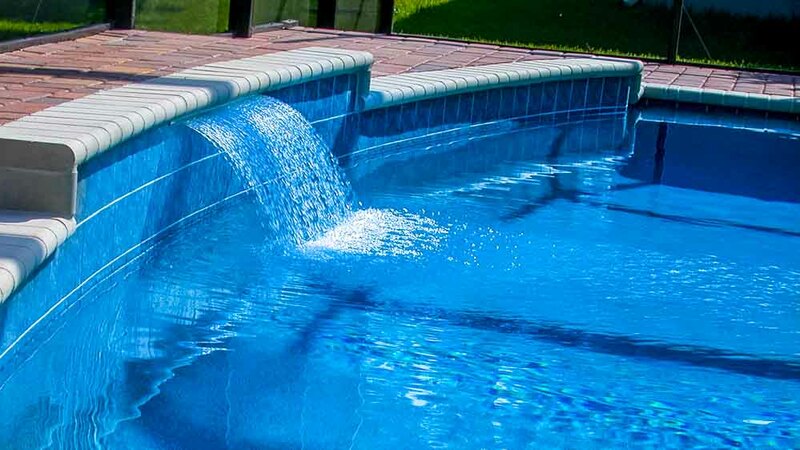 Sinks are almost a must in any outdoor kitchen, so a plumber should be on your list of people to contact, and of course an electrician will be needed for power hookups. 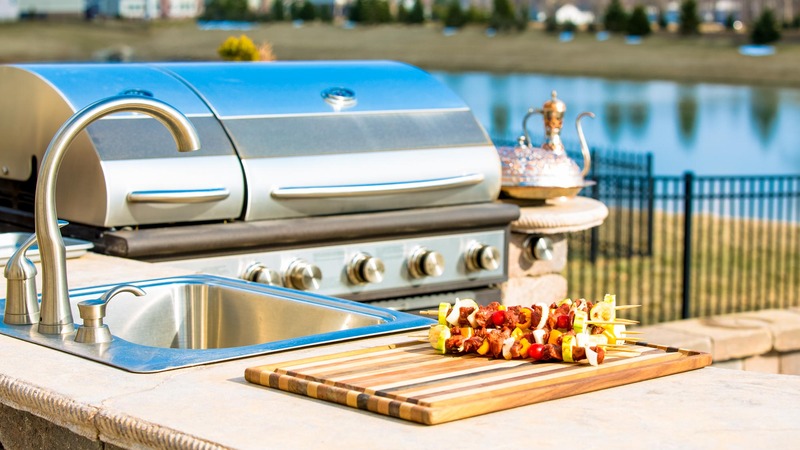 Any barbecue you install in your outdoor kitchen, and perhaps your stove as well, is going to be powered by either natural gas or propane, so a contractor who works with these should also be on your list. As you can see, the possibilities with an outdoor kitchen are literally endless, but once you finally have it in place, your enjoyment of that outdoor kitchen will be tremendous, and you’ll probably wonder how you survived cooking indoors all those years.